Ringtonia Tea Bag – Fill out their required fields to complete your request for a free Ringtonia tea bag sample. Include the healthy choice of tea in your daily routine. 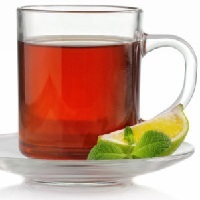 Capital Tea – Right now, at the time of this post you request from 4 different Capital Tea samples by mail. The samples are located at the top. Add the tea to your cart and checkout. Shipping is free as well. Organic Tea Cyrstals by Mail – Request free Pique organic tea crystals. They are committed to helping people make smarter beverage choices by making the healthier option — Tea.